Fun fun. 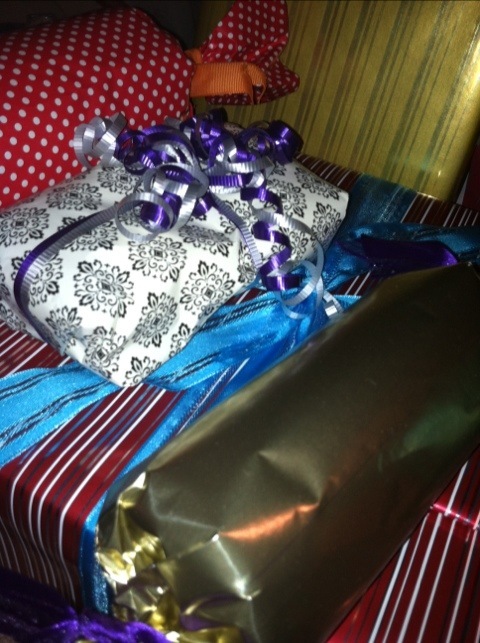 And I have all this gorgeous ribbon from costco…..so its bow time! 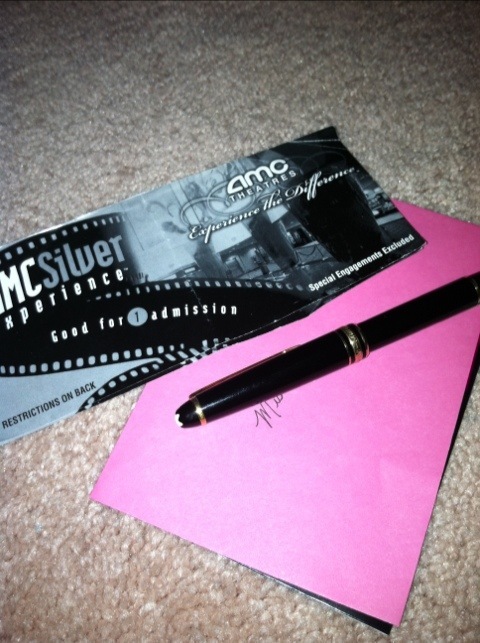 And a lovely pair of movie tickets to my dear friend Courtney (the one who’s birthday present I posted as a teaser!). In fact, she should be getting said present soon! Back to wrapping. Ladies, your prizes will hopefully go out tomorrow. It’s dependent on my day. I’m making separate birthday cakes this year, but luckily we aren’t doing cake until Saturday, so I have some time. The cake requests? The eldest wants a black sphere. The younger? NO idea. So I’m making him a purple pants cake. I think he will love it. And for me, it’s something different to play around with. I have some “clothing” cakes coming up soon, so this will be good practice! The past two years it’s been Pokemon. I’m happy for the change! 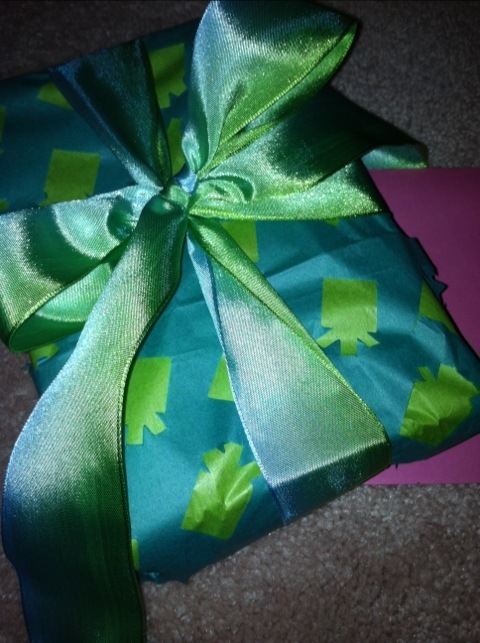 This entry was posted on May 4, 2012 by katespadegirl. 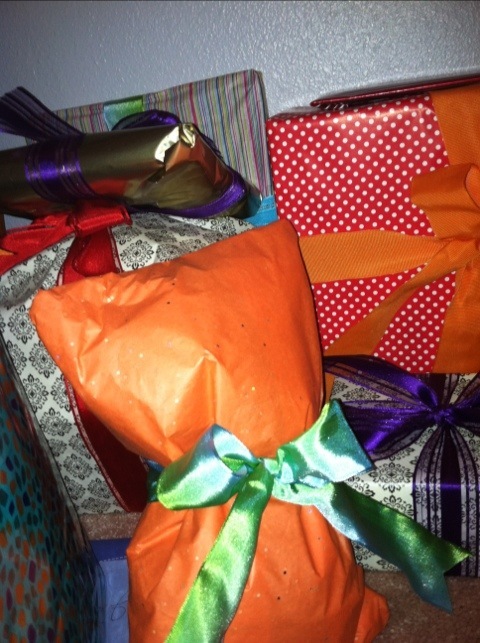 It was filed under Giveaway, Life and was tagged with birthday, birthday cake, costco, Giveaway, Presents, ribbon, wrapping. Wow! 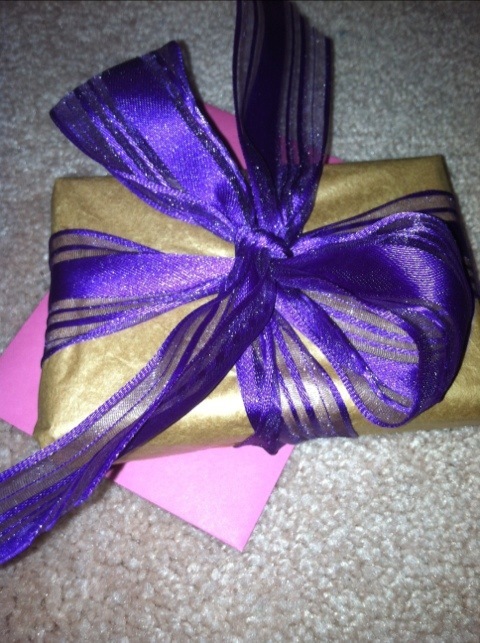 I can’t wait to unwrap my package! Also- a black sphere cake? I’d like to see pictures of that when it’s done! How are you going to make it? I’ll post pictures of the cakes when I’m done!! It’s always fun to do things for the kids, it’s good practice, and I usually do something totally wild and over the top. I’m excited!